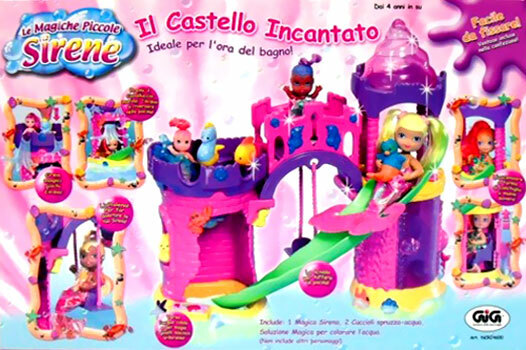 Images on this page thanks to eBay sellers twilightdreams , T-As-TOY-AND-GAME-STORE , aboyzee and PriceMinister seller stella0211! 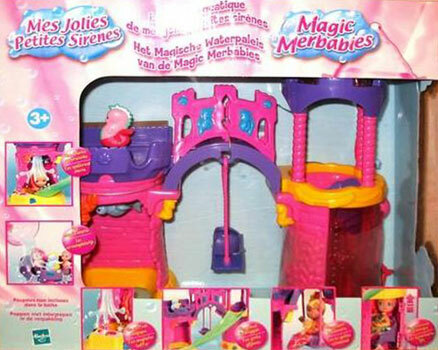 There were two large and one small playset produced. 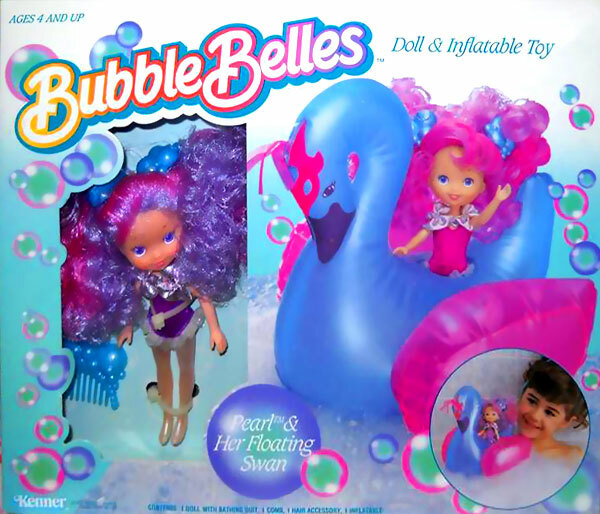 "Ideal for bath time! Turn the wheel for fun water games! 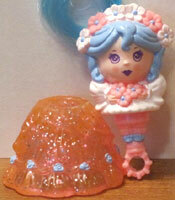 Real working shell shower! 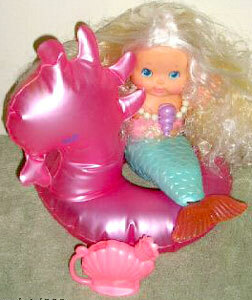 Fun water slide! East to fix to your bath!" 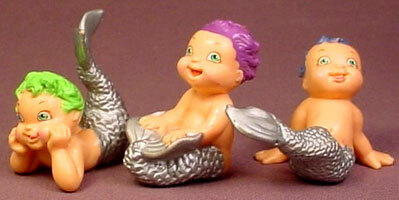 "Bath time is always fun with Magic Merbabies! 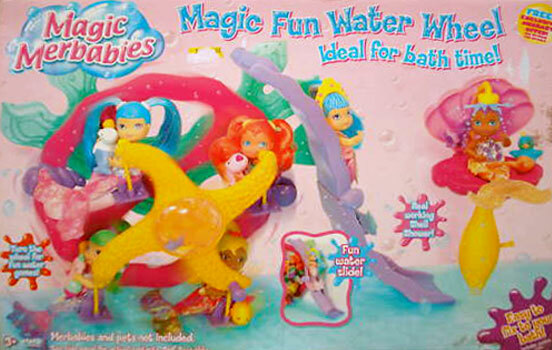 Full the turret with Fizzy Tints and pour water to create colourful water falls when you push the seahorse plug! Sea shell lift moves up and down! 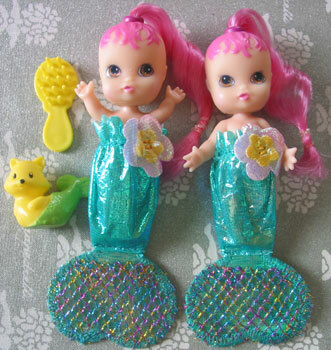 Cool swing for your Merbaby to enjoy! Pour warm water to magically reveal jewels!" 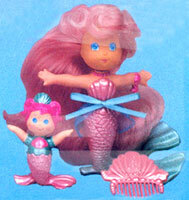 Acording to the packaging information, the UK version came with no Merbabies or Mer-Pets where as the European playset came with one Merbaby and two Mer-Pets. 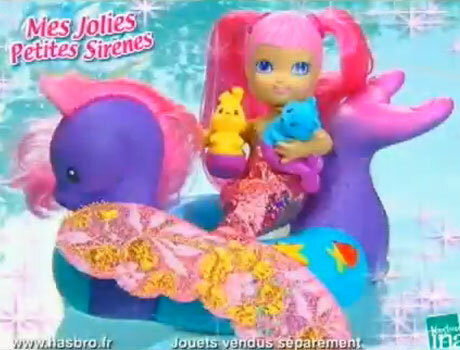 It has been confirmed that one such european playset came with an unknown doll (wearing a white version of the original series dresses) and Lavender's two pets (from the Floral series), and there was also a UK version which came with Snowdrop and Daisy (but no pets). Very confusing! 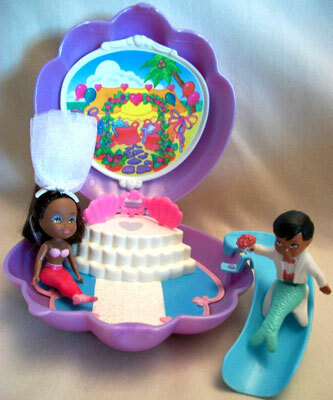 On the Hasbro toy manual site this playset is called Splashin' Surprise Palace, and states it came with its own "exclusive" doll. 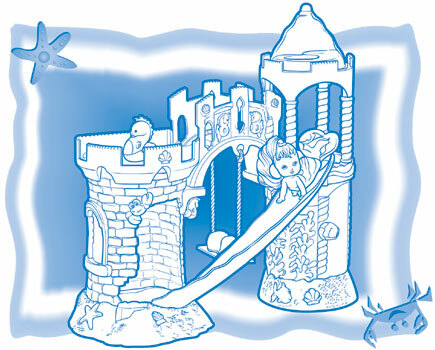 The manual illustration below shows that it is the same playset as the Magic Water Palace and I've found no evidence as yet that it was ever sold under any other name. 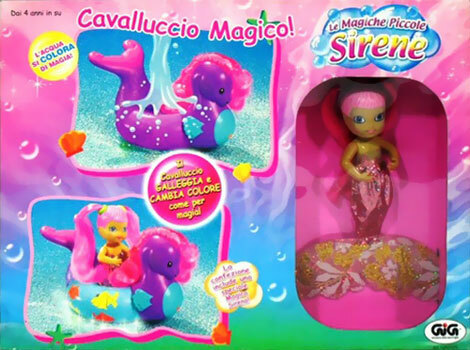 "Playset includes exclusive Merbabies doll. Includes 1 packet of Fizzy Tints. 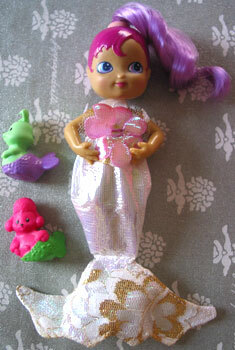 Place one Fizzy Tints tablet inside the pocket on the front of the doll's tail fin. 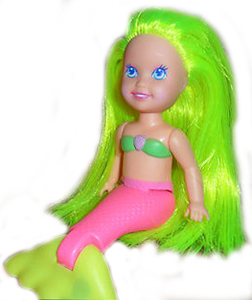 When you move your Merbabies doll through the water, pretty streams of colour come from her tail! 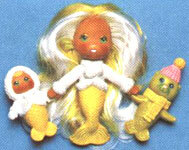 For best results, place doll in warm water." 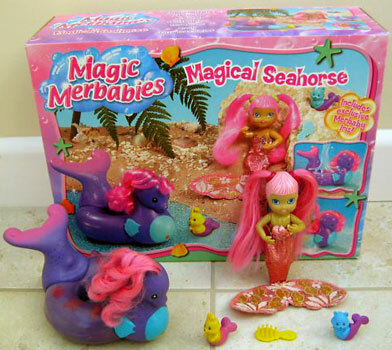 There was also one smaller playset produced, which came with its own doll called Iris, a floating seahorse, two Mer-Pets (yellow bunny with pink tail and a blue cat with purple tail) and a yellow comb.